Alter The Press! : Hayley Williams Joins New Found Glory On Stage for "My Friends Over You"
Hayley Williams Joins New Found Glory On Stage for "My Friends Over You"
Hayley Williams joined pop-punk veterans New Found Glory on stage this evening (November 28th) in London, England. 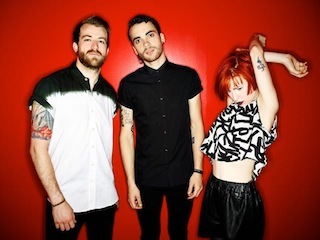 The Paramore vocalist teamed up with the band to perform their hit-single, "My Friends Over You" in the UK capital. Fan-shot clips from the show can be viewed below.